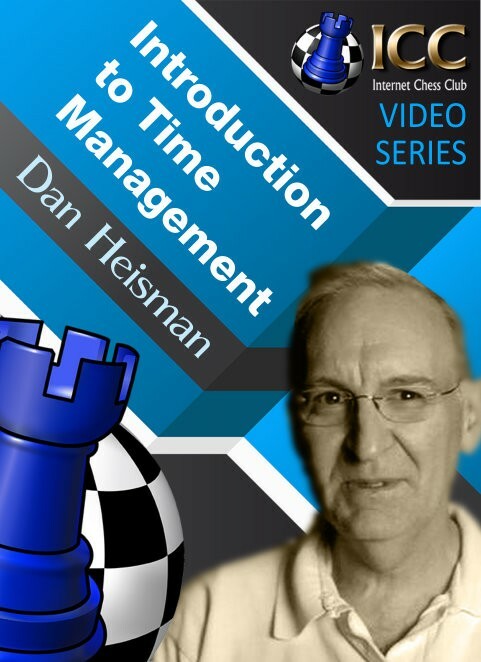 In this video NM Dan Heisman tackles a quite unique topic for chess related shows: Time Management. This subject is very underrated and often overlooked by weaker players, as it is something about which there is not much information available. Back in the 1880's grandmasters were playing without clocks, but they would take forever; they played for money, and wanted to find the best move, this resulting in long hours without a move, with the spectators asking for their money back, because they didn't see many moves during a day. The advent of the clock in a chess game changed profoundly the approach to the game: with time constraint the masters were not anymore trying to find the best move, but instead they were forced to find the best move in a given amount of time. This was an epochal change in the game as we know it today. Since then the use of the clock in chess has evolved, and today chess is played in a "sudden death" mode, with the players forced to finish the game in a given amount of time (no adjournment). Another important aspect of the evolution of the chess clock is the increment, which adds a certain number of seconds to the clock for each move. Modern chess is greatly influenced by time, and it's extremely important to manage one's time efficiently. NM Dan Heisman, in this interesting and not to be missed video-lecture, explains how to deal with the clock during a chess game. In this video NM Dan Heisman tackles a quite unique topic for chess related shows: Time Management. Time Management. This subject is very underrated and often overlooked by weaker players, as it is something about which there is not much information available. Back in the 1880's grandmasters were playing without clocks, but they would take forever; they played for money, and wanted to find the best move, this resulting in long hours without a move, with the spectators asking for their money back, because they didn't see many moves during a day.